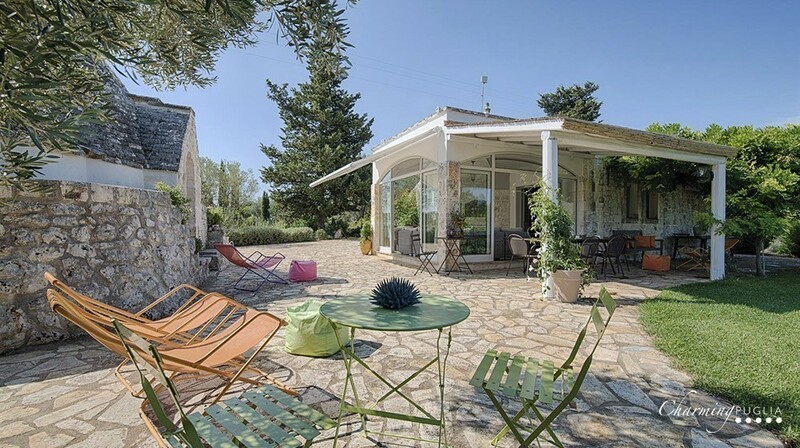 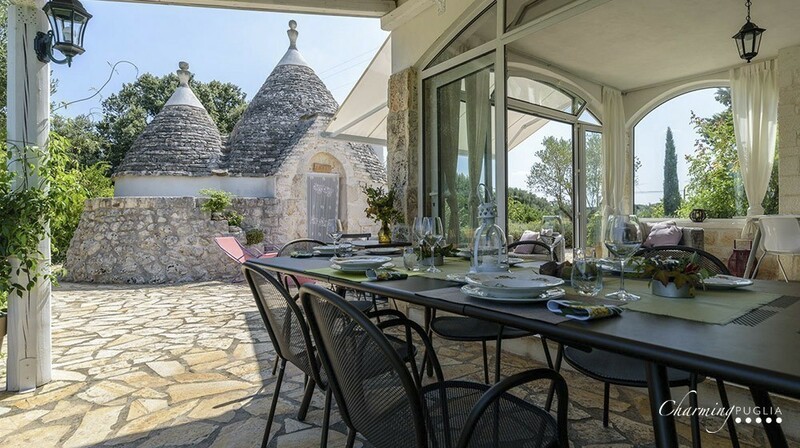 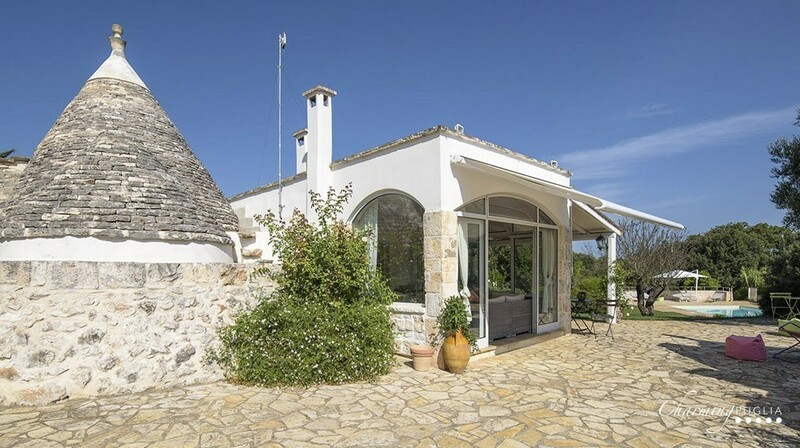 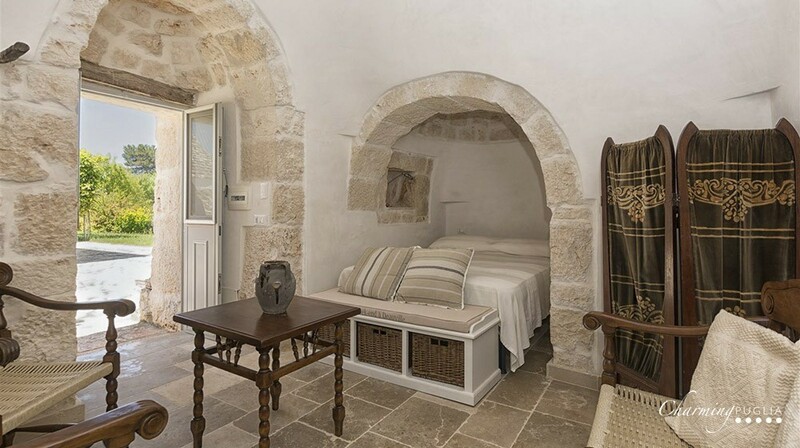 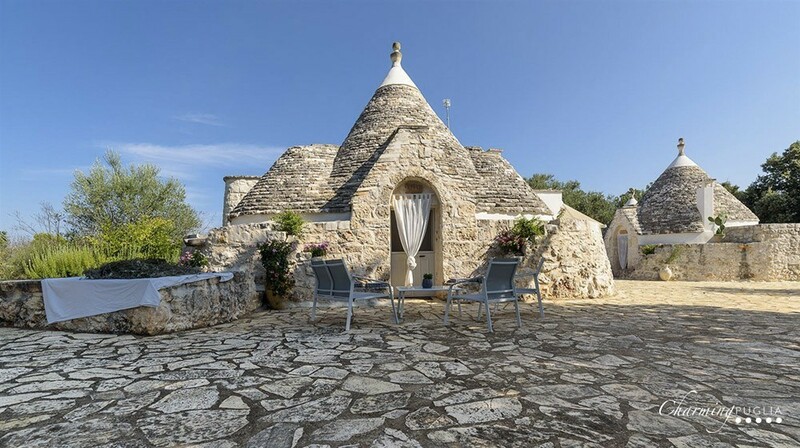 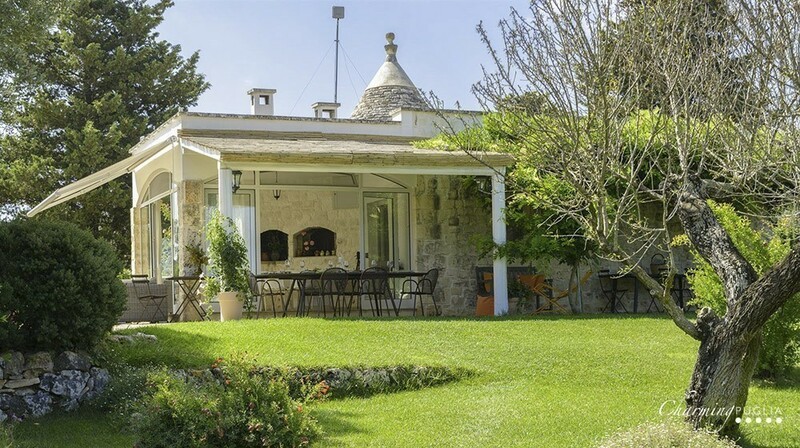 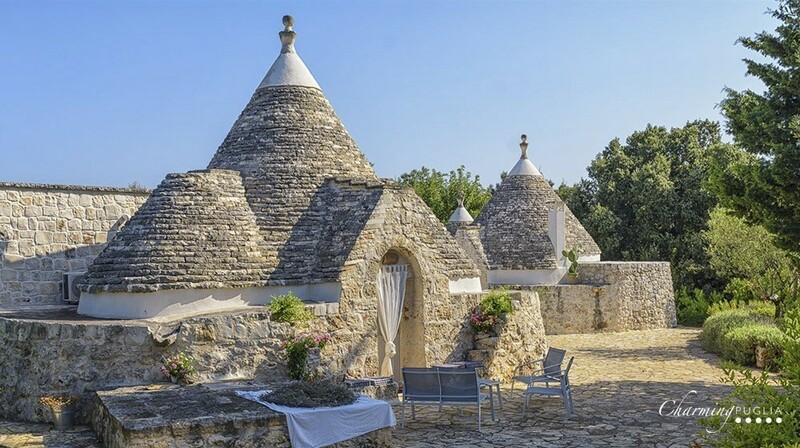 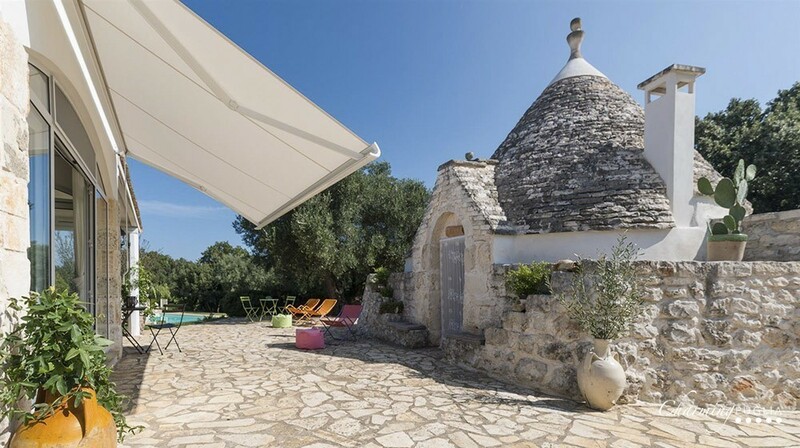 Trullo Petrelli offers its guests a great chance to spend some time in a traditional ‘trullo’ while also enjoying all the comforts of a villa stay. 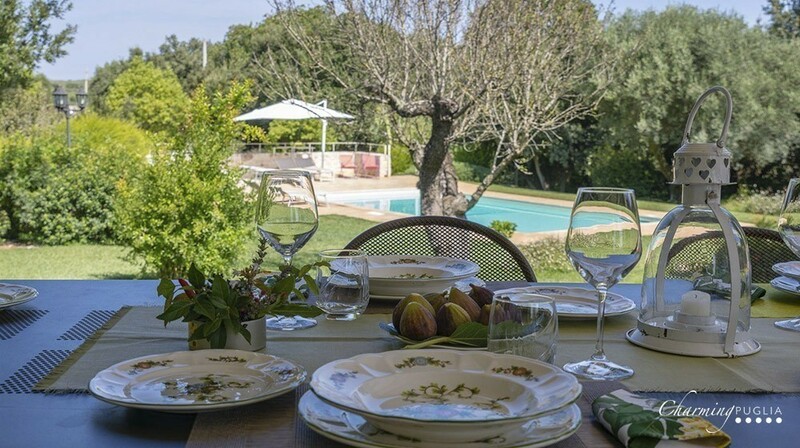 An extensive garden surrounds the villa and offers the delights of a large pool with solarium, opening on to a lawn with olive trees, fruit trees and native Mediterranean plant life. 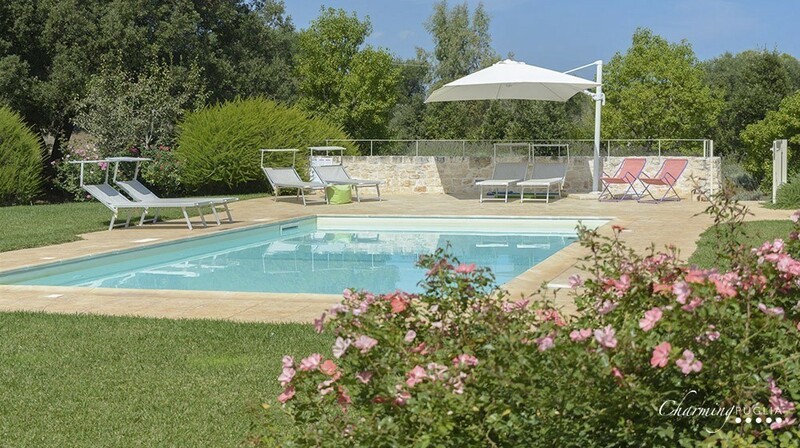 Pool opening from May 01st to September 30th. 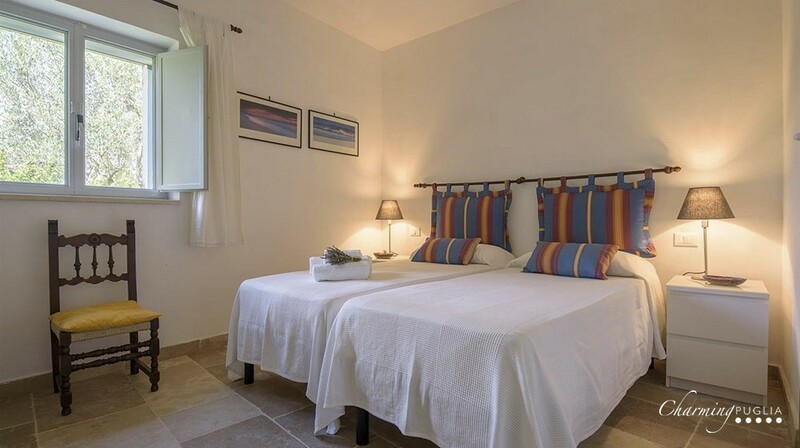 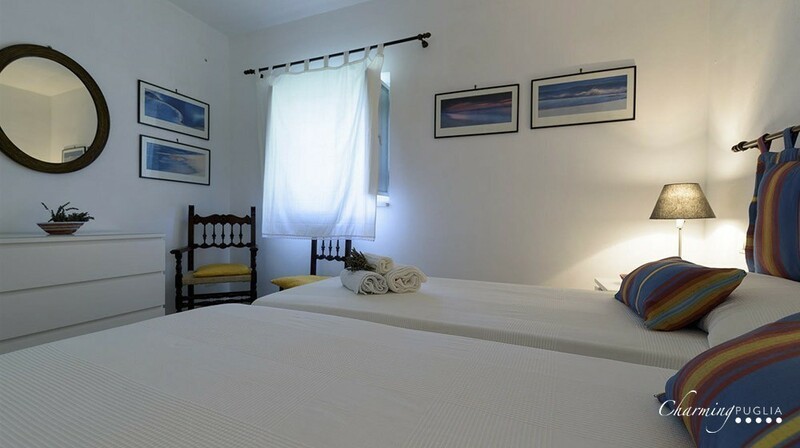 The main ‘trullo’ hosts a large bedroom plus living room, a second double room, a shared bathroom and a small, well-equipped kitchen leading to a covered veranda furnished with a table and sofas. 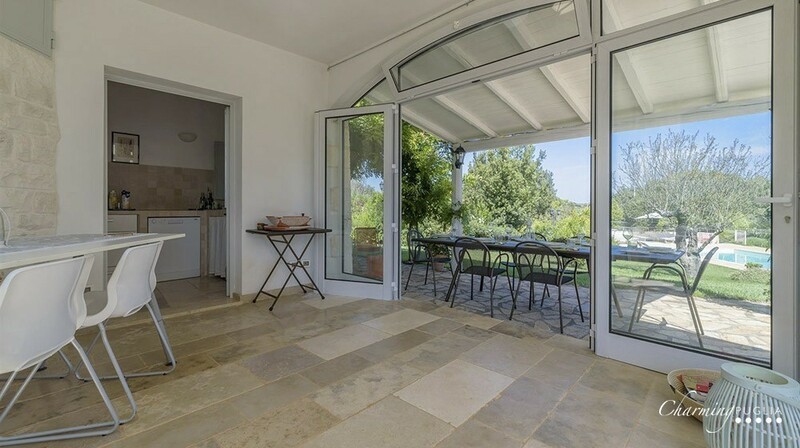 A second ‘trullo’ facing the veranda hosts a third bedroom and a wet room with shower. 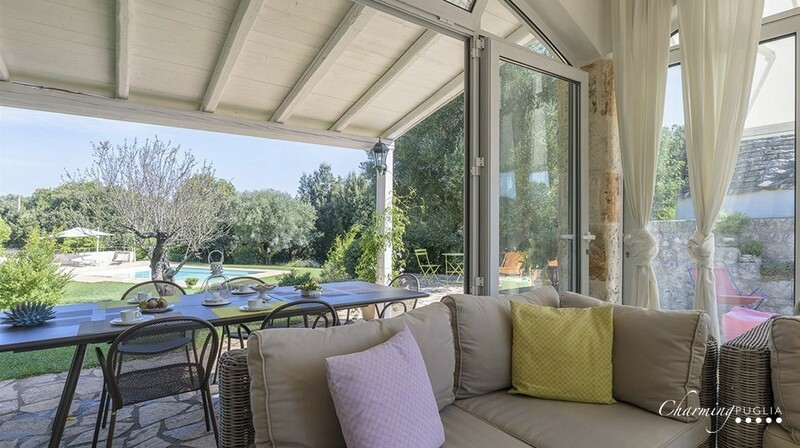 The whole villa, with a floor space of 90 m2, reflects traditional materials and architectural style, but with some fresh appealing modern touches. 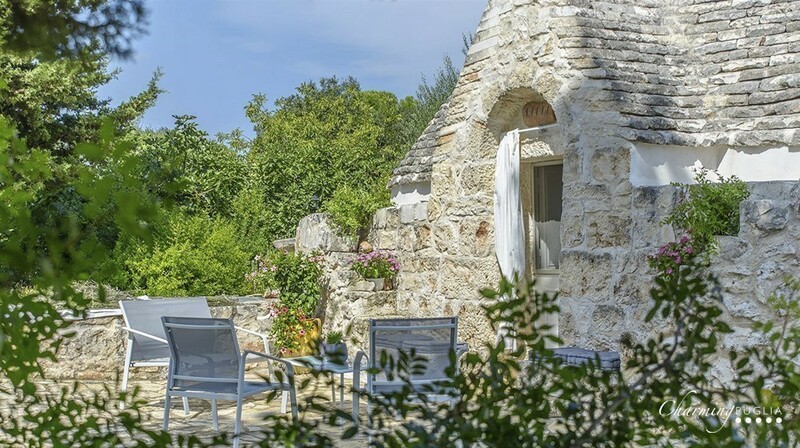 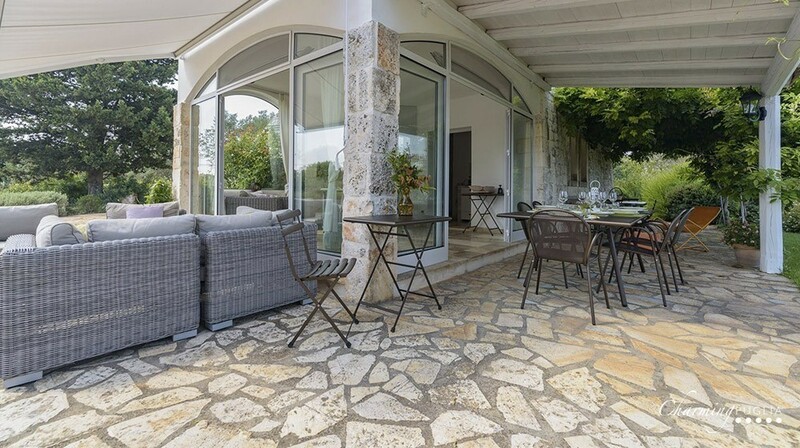 The pulsing heart of a property extending for 8000 m2, the villa is in close accord with its outdoor spaces and facilities, designed and equipped so as to ensure fill enjoyment of the warm summer days of the Puglia countryside.